It should be known, I lurve me some Sephora, so I was over the moon (and slightly ashamed with myself) when I reached VIB status. Hello perks! Buut, I can't claim any of them! Every "perk" is restricted from use on Canadian orders. I understand certain ones being restricted, but everything? I just got a really nice $20 off $50 code and go figure, can't use it. Gah! I'd gladly go into a store, but there aren't any in my area so online is how I get my Sephora fix. Any other Canadian gals a bit peeved with Sephora? Sorry what is emailing them going to do? 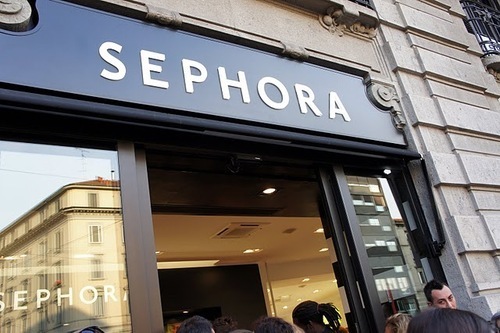 I've been complaining about this for years, luckily I know live near a Sephora (several actually) being in Toronto, so I am okay, but living away I was always upset over this. I'm doubtful emailing will change their policies, but I did anyway. I'm just interested in what their reason is as to why and how they spin it. So I totally understand how you feel and relate to you! Why would they do that anyway? If you have a discount code, it's not like a physical product you cannot order? I felt the same, all the online offers were so good but couldn't be used on the website. I was so happy when Halifax finally got a store.